› Author AffiliationsFacultad de Química, UNAM. Grant PAIP 5000-9062. The azacycloalkane 1-azocan-5-one is embedded in the structure of several products of natural origin displaying a variety of bioactivities. 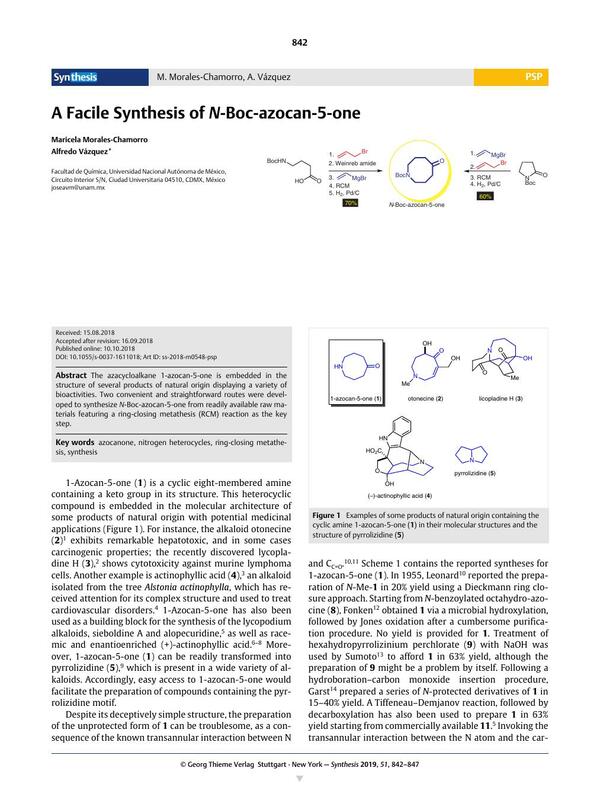 Two convenient and straightforward routes were developed to synthesize N-Boc-azocan-5-one from readily available raw materials featuring a ring-closing metathesis (RCM) reaction as the key step. Supporting information for this article is available online at https://doi.org/10.1055/s-0037-1611018.